If you want a thoroughly cleaned bathroom, then every nook and cranny must be properly taken care of, specifically the shower door. Shower doors are vulnerable to stain, soap scum, hard water build-up, mold, and mildew; simply because shower doors are exposed to moisture every day. This is why you need to carefully consider the best product to use. To get a crystal-clear shower door and to protect your shower door from damage, here are 6 top-rated products worth buying and their best features! The best shower door cleaner is one that can be used in professional cleaning tasks. The Bio Clean Professional Hard Shower Door Cleaner is a proven and tested cleaner that can give other commercial shower door cleaner brands a ran for their money. Bio Clean’s formulation is so effective that even hard water build-up, rust, and lime deposits can be easily removed in just one application. 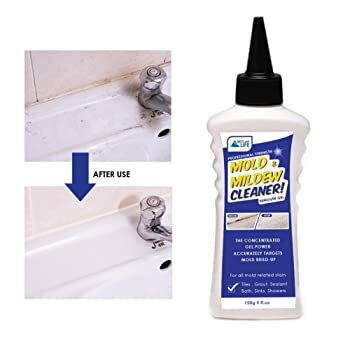 This lab-tested product has been helping both homeowners and professionals in their bathroom cleaning needs. 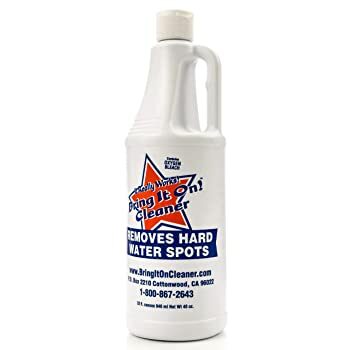 This is an industry-approved product and is used by a lot of cleaning companies. So, you can assure its effectiveness. Doesn’t leave any foul smell after using the product. It is also safe to use on delicate surfaces such as granite and tiles. You can use this cleaner even without wearing gloves. It’s very safe and non-drying to skin. A lot of experts recommend getting a shower cleaner in a gel formula. The gel formulation has a sticky consistency that helps hold onto the surface so that the cleaning solution can do its magic and get rid of all the stain, mold, and mildew. Especially if you clean your shower door only once in a while, you need to do it thoroughly and properly at least. This is when Skylarlife Cleaner is of great help. It is especially formulated to remove the stains and mildew around your shower door silicone. This is the best shower door for targeted areas. If your shower door has silicone sealant, then this is a great product to try. The pointed tip of the container allows for an easy application of the product. No scrubbing needed; you can see great result after leaving the product for 5 to 6 hours. Versatility is one of its great advantages. You can actually use the cleaner in other areas in your bathroom, such as the sink, showerheads, etc. Another specially formulated shower door cleaner is the Rain-X Cleaner. This one is made for glass surfaces only. If you have a glass shower door, then you have just found the best shower door cleaner for you! A lot of shower door cleaner reviews only have praises and great feedback about this product. It can effectively remove soap scum and stains on any glass surface. In addition, it works pretty fast. Imagine having a crystal-clear glass shower door in just 15 minutes? Amazing, right? This works best with a shower sponge to clean the door thoroughly. Although it is a cleaner specifically for glass doors, it can also be used to clean the shower fixture spots. After using the Rain-X 630035, you’ll have a sparkling clean shower door without any streaks. You can expect to remove calcium deposits, soap scum, rust stains, and hard water build-up with this cleaner. Many users vouch for the product’s effectiveness in cleaning glass doors. Want to know something amazing about Rejuvenate Shower Door Cleaner? Some people are allergic to strong fragrances. That is why aggressive cleaners and bleaches are highly discouraged for them. If you are one of those people who have sensitive sense of smell and prefer to use a shower door cleaner that is fragrance-free, then Rejuvenate is the best cleaner to buy. The non-toxic formulation has no strong scent, making it the go-to choose for people who have sensitive sense of smell. This is pretty much a versatile cleaner. You can use this on glass doors, plastic doors, vinyl doors, and others. Removing soap scums is what the cleaner does best. Just wait 3 minutes, and you can already see the result. Leaves a streak-free finish, which is very important if you have a glass shower door. How about an all-in-one shower cleaner? Bring It On Shower Door Cleaner is a product that can be used to get rid of the stains, hard water, and dirt. This makes use of oxygen bleach to do its job well. Just like the product’s slogan— It really works! Furthermore, this shower cleaner does not damage or leave any residue to your shower door. This can tackle stubborn stains, calcium deposits, and limescales. You can also use the product to safely clean your fiberglass tub. It is an eco-friendly shower door cleaner without any trace of toxic chlorine. It may take 3 applications to restore the original condition of your shower door. But the result is amazing! Another spray shower door cleaner on the list is this Soap Scum & Hard Water Cleaner from Clorox. 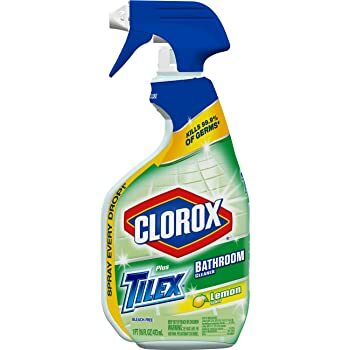 Clorox first made a name as a tile cleaner, but now it expands its reign and also produces versatile products that you can use in many bathroom parts. This Clorox shower door cleaner is a special non-abrasive formula that can efficiently clean shower door stains without hard scrubbing. Since it’s a spray cleaner, this won’t leave any residue on your shower door. This uses Smart Tube Technology so that you can use every single drop of liquid in the bottle. Aside from removing stains, it also kills 99.9% of germs that may have thrived on the hidden parts of your shower door. It has a lemon scent, which leaves your shower room smelling fresh and clean. You can also use this to clean your bathtub, shower fixtures, and ceramic tile. What a versatile cleaner indeed! The best shower door cleaner for me is one that is effective, safe, and works fast. 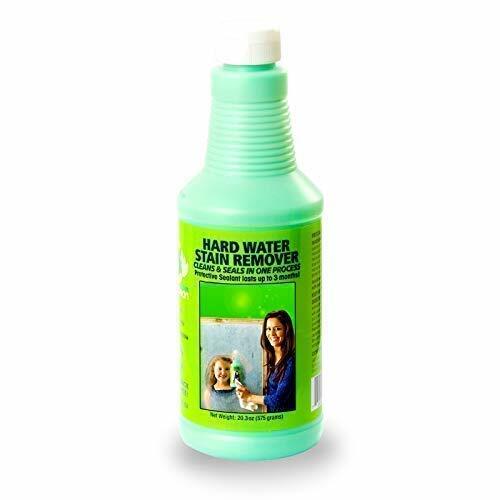 And that is none other than the Bio Clean Professional Hard Water Stain Remover. First, it’s a professional shower door cleaner that is trusted by a lot of professionals and homeowners alike. Second, it is mild and environment-friendly, so it is guaranteed safe to use. Lastly, it works fast and even applicable to granite and ceramic tiles. So, what’s your favorite cleaner from the list? I’d love to know your thoughts, so comment down below!